My modest games collection and why I purchased these games. Our roleplaying group was going through a rough patch. 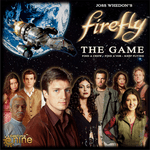 People were finding it hard to commit time to prep games, and so I decided to try and find a board game that had enough theme and depth to scratch the roleplaying itch but without the prep time involved in writing adventures. This has not seen much table time due to the game length. The sweet spot for our group is 60-120 minutes. Everyone enjoys the game but don't find many opportunities to set aside the time to play it. 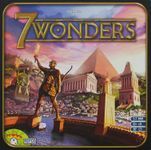 I'm not a fan of CCG/LCG so I was a bit dubious about 7 Wonders. 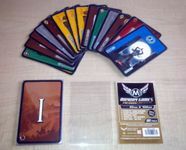 However, I took time to watch some video reviews and understood that this is NOT that kind of card game. I have the Cities and Leaders expansions as well and we play with both all the time. The 2013 release (with the new art design) came to my attention though Amazon and I checked the online reviews...which were all positive. This has not hit the table as often as I expected because I have been trying out new games (and 7 Wonders keeps being requested all the time). By now I was becoming curious about 'Euro' games. I had played, and enjoyed, Lords of Waterdeep and was keen to try out a straight Euro game. The video review (Miami Dice 112 http://boardgamegeek.com/video/31959/the-palaces-of-carrara/... ) for The Palaces of Carrara got me hooked, and I ordered the game. I was not disappointed. Great game. This has hit the table a few times. As it is limited to 4 players I had to skip this game once when a 5th person turned up to play (lucky that I had 7 Wonders with me as well). 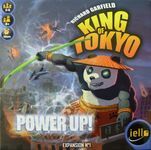 I'm reading BGG, watching TableTop and The Dice Tower, and someone put me on to Shut Up & Sit Down (http://www.shutupandsitdown.com/). 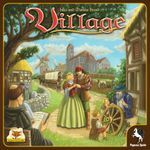 The review of Village had me ordering the game (and Village Inn expansion) almost before the review was finished. 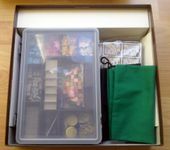 And of course once the game arrived I could play around with a way to store the components. 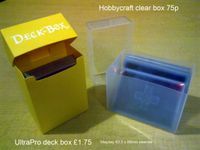 We all need a portable filler game. After watching Star Fluxx (I own this one now as well) on TableTop I decided to buy the Cthulhu themed version. This is just a silly fun filler game. Arkham Horror has not seen as much play as I hoped. 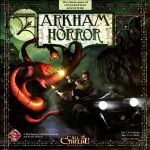 This new game seems to address a lot of the problems I have found with Arkham Horror and looks to be more story based. I will pre-order this when it becomes available. I had this on pre-order until a couple of days ago. And no collection would be complete without a bad game or two. To be fair this is NOT a bad game. I just don't enjoy playing it. 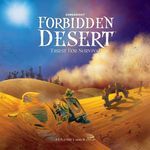 The TableTop episode where they played Forbidden Island was great, and I like Pandemic (by the same designer), so I thought i'd jump in and by Forbidden Desert. This goes to show that you can do the research but there is no guarantee that you will enjoy a game, even one that gets almost universal plaudits. Based on the excellent review by Paul and Quinns at Shut Up & Sit Down I ordered this game (damn them to hell, they made me by Village as well ). I'm looking forward to playing this with my gaming group. Great components, and the game has a lot more depth than I was expecting. This is one that both kids and adults can enjoy. I'm not usually a fan of dice games as I find them a bit too random. This is essentially Yahtzee but there is the push-your-luck element (and monsters) which tipped the balance for me. I have played the original a few times but never really liked it that much. I recently got the kindle app and something clicked, so when the Winter Edition appeared on Amazon at half price I got a copy. The artwork on the tiles is fantastic. This has been on my list of possible purchases for a while, but lack of availability and a rather hefty price tag put me off. Whilst at Dragon Con I finally caved in a got it. This game is great! There is real depth of strategy, and I can't wait to try out all the races. It lives up to the hype.